In business, it is often necessary to write different letters for different purposes, such as promotion letters. 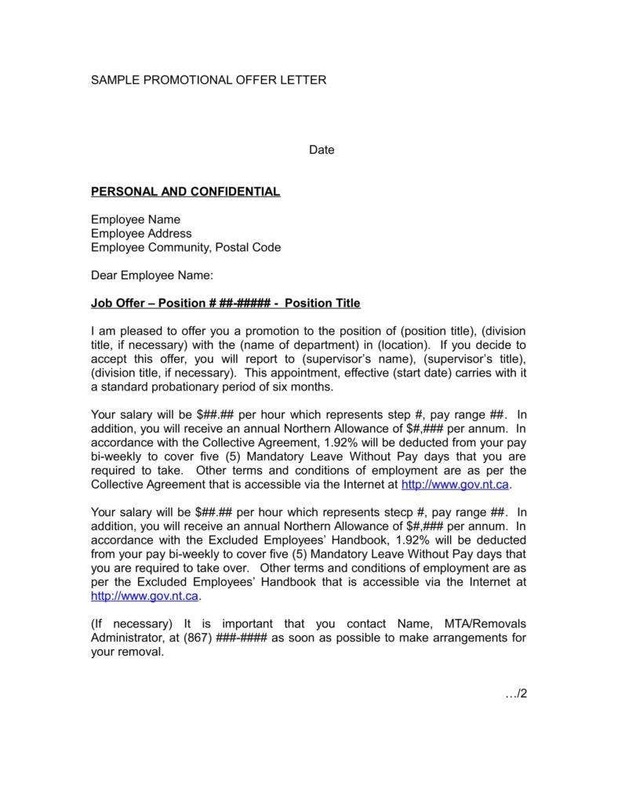 In the case of employees, there are examples of employee letter templates, including for promotion letters, in case there happens to be an opening for a position which an employee feels suited for. Of course, that is not the only form promotion letters can take. After all, promotions can also come from the top-down. Management may also decide to offer a promotion to employees they think are suited for the job, or else someone else, possibly a superior, may decide to recommend a particular employee for the position. In any case, if you were to write your own promotion letters, it would pay to know the nuances of different promotion letters so as to be able to develop them properly. Promotion letters can actually take several different forms, for which you may need different tools to write them. 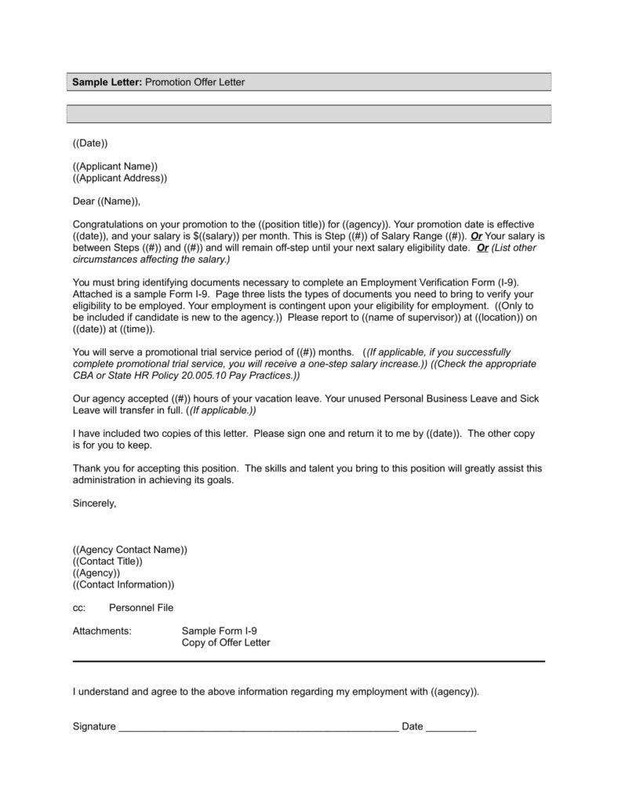 For example, you can use promotion offer letter templates in order to make an offer to employees. Of course, these letters naturally have a number of different functions implied by the act of offering promotions, such as the following. 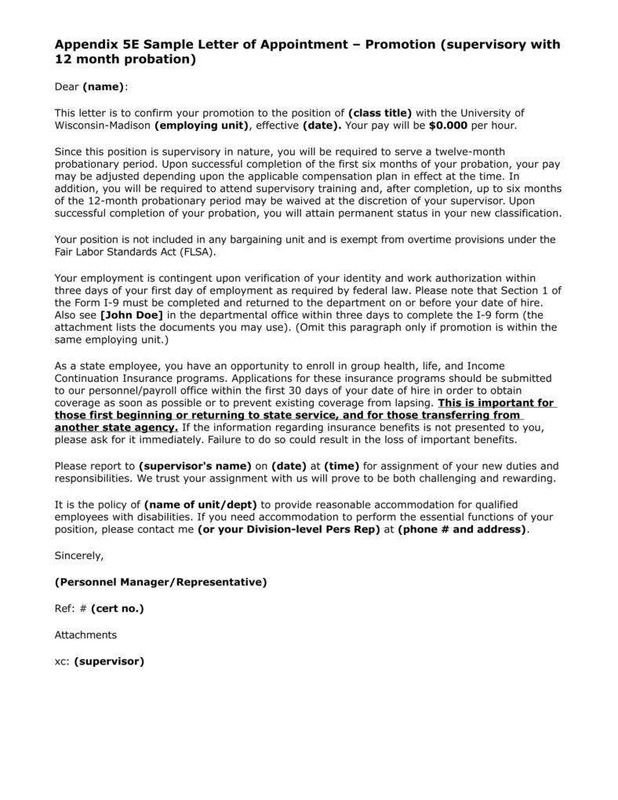 The most basic task of any promotion letter is to simply notify the recipient of both the opening and the suitability of either the sender or recipient for the available position. After all, one cannot have time to consider the suitability of an applicant if there is no notification of the availability in the first place. Part of any letter’s responsibility is to first provide its recipient with information in order to consider a next move. 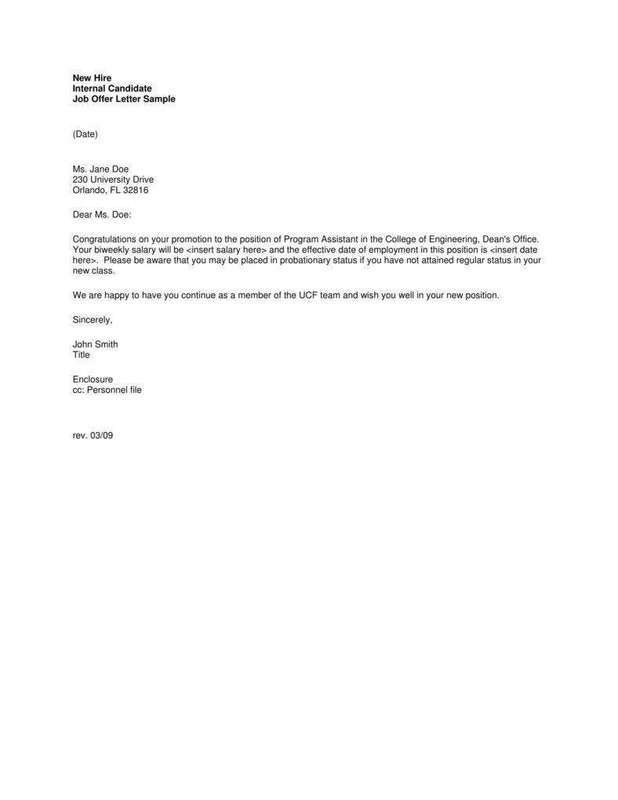 Assuming that the sender is an applicant for the position, the letter must also persuade the recipient, presumably a manager of some kind, to consider the applicant for the available position. The same is true of sending a promotion offer letter, as the recipient, in this case, may need incentives to accept the offer. 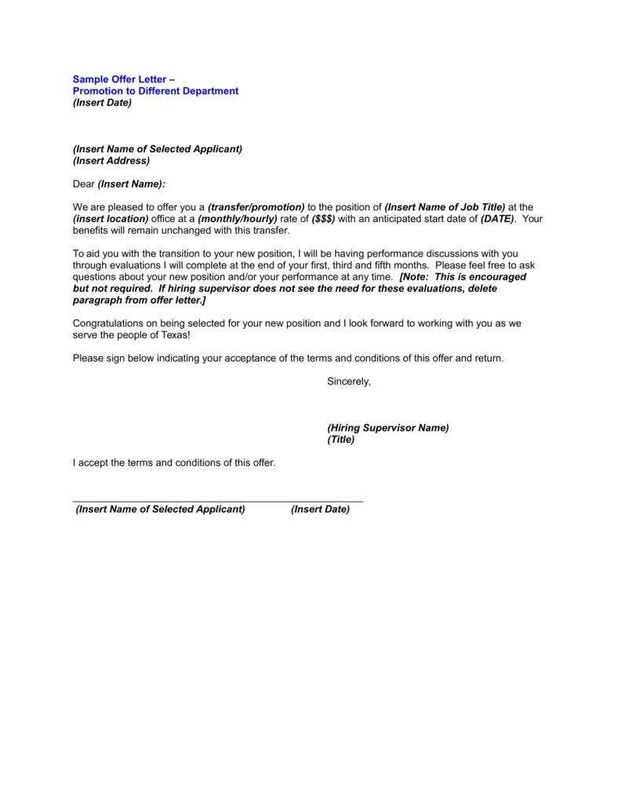 In either case, the letter must either explain how the sender is best qualified for the position in question or explain how the recipient stands to gain from accepting the position. 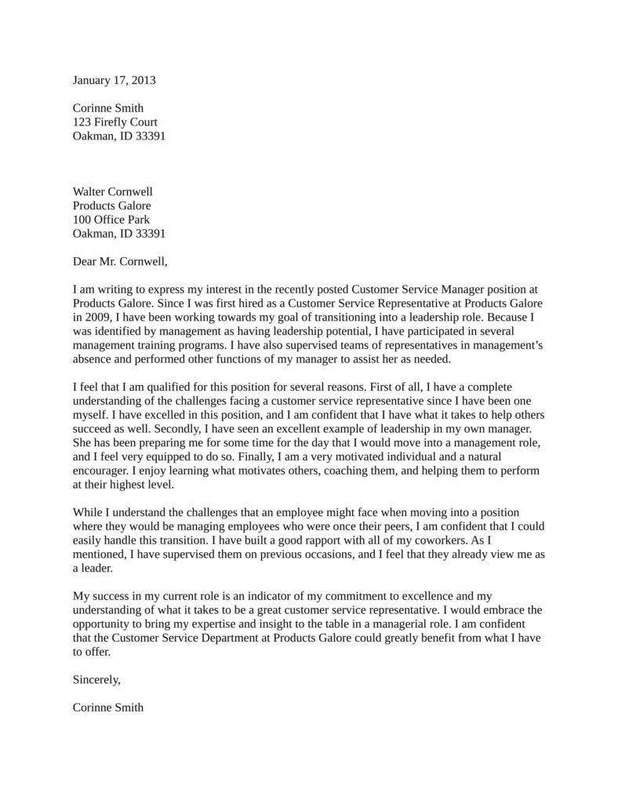 There are also a segment of promotion letters that serve as employee recommendation letters. Sometimes, an authority figure may have to vouch for a subordinate’s suitability for a position. In such cases, those particular letters would have to strongly extol the virtues of their subject, so as to speak for that particular employee. This can also serve to strengthen such an employee’s credibility in stating his qualifications, as he has some kind of higher authority backing his claim to the position. Promotion letters are also, by nature, implicitly congratulation letters, at least in examples of letters that come from one’s superiors. This is due to the letters being given to an employee selected by his superiors. In such cases, the employee is being given the job based on an evaluation, and in light of that, it would be polite to congratulate them for their hard work and determination in being offered the position. Besides, the fact that the letter is sent at all is an indicator of all that hard work paying off. It generally pays to include a heading at the top of official letters as this can serve to introduce the main idea of the letter to the recipient. After all, in official letters, one thing you should always keep in mind is the necessity of getting to the point quickly. Business letters are always made so as not to take up too much of the recipient’s time, which the heading can very definitely do for you. Including letterheads for the parties involved in the matter of the promotion is one of the basics of writing employee promotion letters, as well as business letters as a whole. After all, this serves to list the pertinent information of both the sender and recipient, both to be certain that the letter is being sent to the right person, and so as to make record-keeping much easier. As such, you do also need to include the name of the applicant in order to make sure that the letter is being sent to the right person. Aside from that, this can also serve to help reinforce the application to recipients. Whether the recipient is the sender or recipient himself, this helps the applicant’s name stick in the mind. 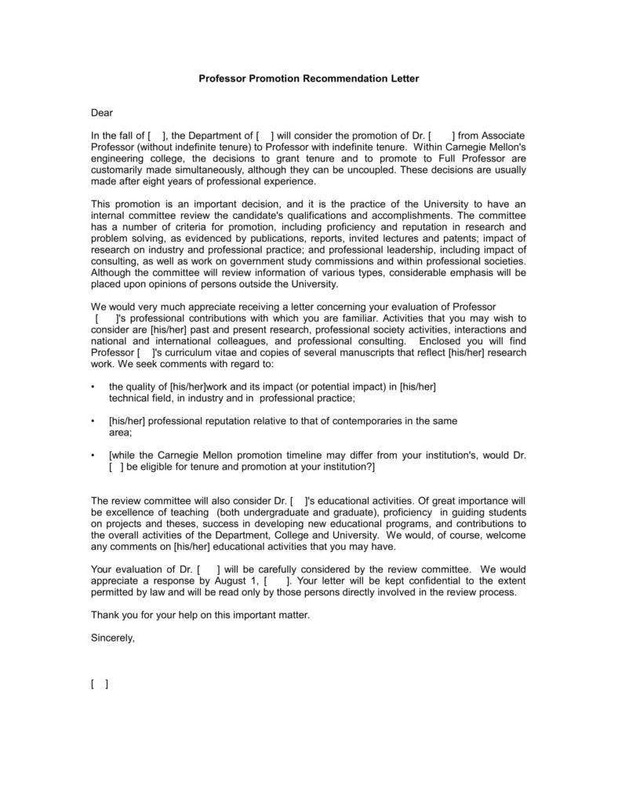 The content of the letter does need to include the specific position being applied for. 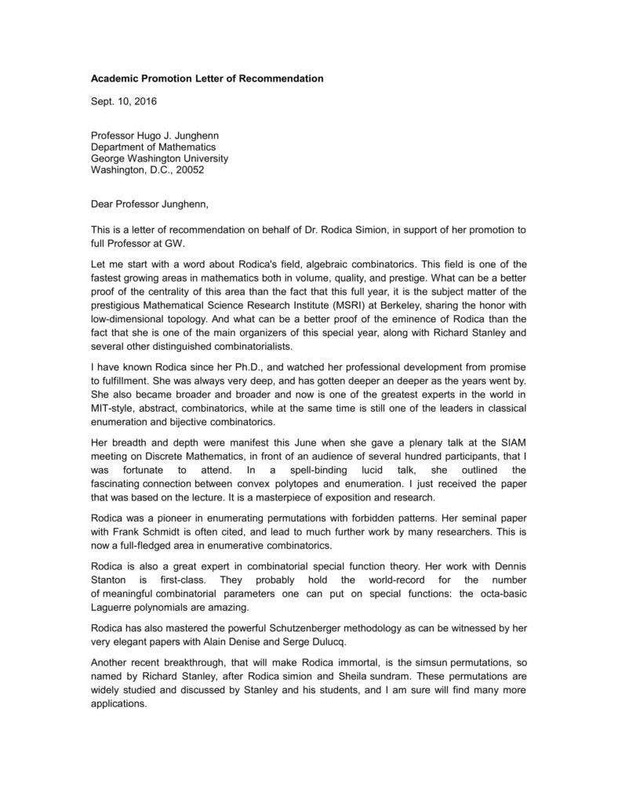 This is related to the letter’s function as an informative document. Since the letter is meant to inform its recipient, it is vital that the letter contains specific information as to what position it is speaking of. This is an important element of all promotion letters, including promotion recommendation letters. After all, if an applicant is applying or being recommended, then the letter has the responsibility of pitching him as the best choice for the job. You may also see this in promotion offer letters, as management may provide some reasons why that applicant was selected so as to provide context. Some positions have additional requirements in order to make the promotion official, which usually consist of certain documents. If that is the case with any of your own letters, it would be necessary to inform the applicant of it, so as to help the transition process flow more smoothly. If the letter happens to come from management, then it would be wise for it to include what changes in salary and other benefits the applicant stands to receive. After all, being that it is a promotion, one would expect certain additions not found in his original position. These naturally bear mentioning, especially if the letter is meant to convince the applicant to take the job. If there are any other processes necessary to enable the promotion to occur, then you should also include these so as to keep the applicant aware. This may include things like additional meetings or briefings to prepare them for the promotion and its increased responsibilities. The last step of any official document is to include space for signatures. This serves to allow all the relevant parties to affix their marks to the letter to ensure that it is authentic. Besides, this also implies both parties understanding the letter’s content and affirming it so as to make everything official. 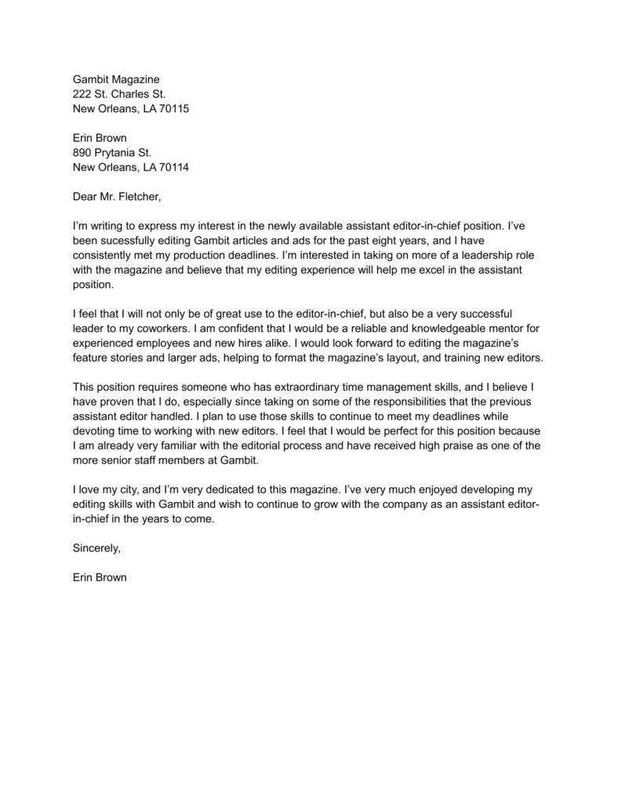 As with producing any other kind of official document, there are also some job promotion letter writing tips you can take advantage of in order to make your letters more effective. After all, if you want to make the most of any documents you have to write, then such guidelines can serve you well. Besides that, these tips may even have utility beyond simply helping you with your writing. Show interest from the very beginning. Assuming you are applying for a promotion, it is important that you demonstrate your enthusiasm for the position. A letter of interest sample can help you with this task, as you need to show genuine interest in the job so as to attract the attention of your superiors. Qualifications are one thing, but your superiors will also be looking for someone who brings passion to the table. When applying, it also pays to be polite, so it may be wise to prepare a thank-you letter in order to be fully prepared. After all, if you are applying, you do need to be respectful as you are dealing with your superiors. This also applies in case you are offering a promotion, as a manager would need to show professionalism reflective of his higher position and responsibility. Focus on accomplishments over duties. Your application for a promotion should take the time to mention what achievements you have under your belt. In the past, you must have been able to achieve some notable accomplishments, which would serve to give your superiors concrete evidence of what you can do. After all, if you can be productive where you are, your superiors may take it as evidence that you may be even more useful in a higher position. This is applicable no matter which side you happen to be on. As an applicant, you should provide a period for your superiors to consider you, then offer to get back to them after some time. This shows you as proactive and self-motivated, which would give your superiors ample reason to remember you. 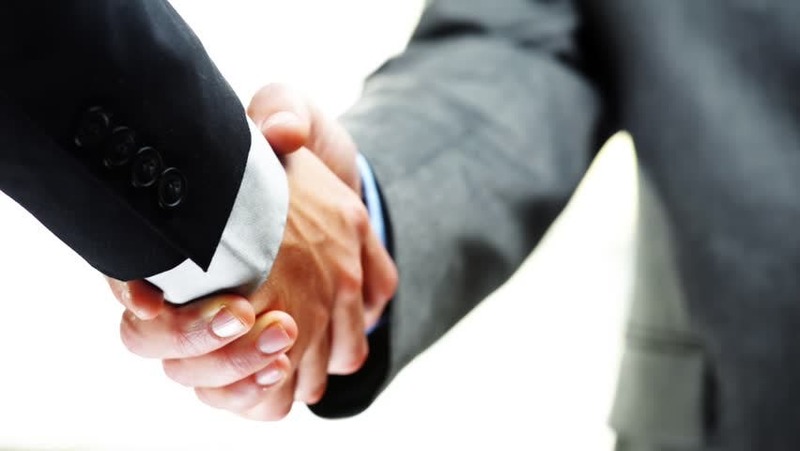 And as a manager, it is important that you give a potential applicant time to consider your offer. After all, a promotion is not all benefits, and the applicant may need time to decide if he wants the added responsibility. It is important that you be specific when making reference to anything in your letters, whether as an applicant or a manager. If applying, you need to be specific when referring to your qualifications, as this serves to make it easier for your superiors to evaluate your suitability for the job. If offering a promotion, then you need to make sure that you specify both the benefits and expectations in store for your applicant, for the sake of maintaining transparency. Hopefully, these insights should go some way to making sure that your use of business promotion letters is improved. After all, applying for a promotion would demand that you take a great many factors into consideration so as to succeed.